This morning, I woke up and thought it was Saturday. It might as well have been. Same as yesterday and the day before. 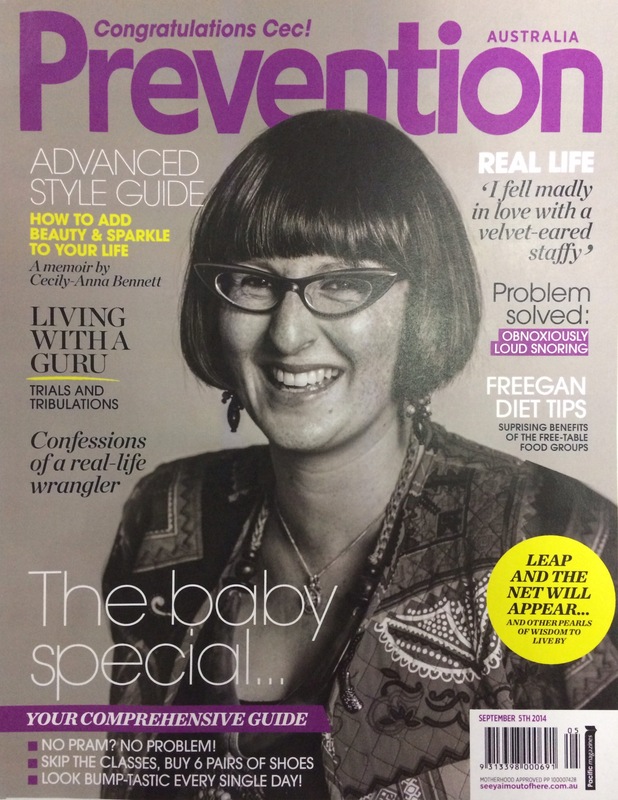 You see, last Friday, I worked my last day at Prevention magazine before going on maternity leave. It was a pretty magical day. There was home made cake. There was this incredible picture-perfect specimen of absolute beauty and deliciousness. There were pink-frosted cupcakes too, made by my friend Bonnie. But before I got a chance to take a photo, I’d shovelled them into my cake-hole with alarming cookie-monster-like ferocity. There was this most spectacular leaving card. And there were beautiful presents, including a scarf from Seed (which is my new favourite thing) and some gorgeous clothes for baby once she comes along. But I’m also getting excited about revisiting all my creative passions. I used to make sculptures. I used to draw a lot and play the piano, and I would really love to get my children’s book off the ground. So the change of pace is going to be very interesting. A chance to see just what I can create next. ← Tutti and The Guru posing with a palm tree on the last day of winter. C – my folks are Omi and Opa to my nephews and niece. Chrissie-Crumble (my Mum was ALWAYS going to be Omi). And I remember my Omi so very fondly. All the best for your next creative adventure – the biggest to date, I suspect!